Some people think speed trailers are a ubiquitous term for all radar speed signs and speed display signs. They’re not. 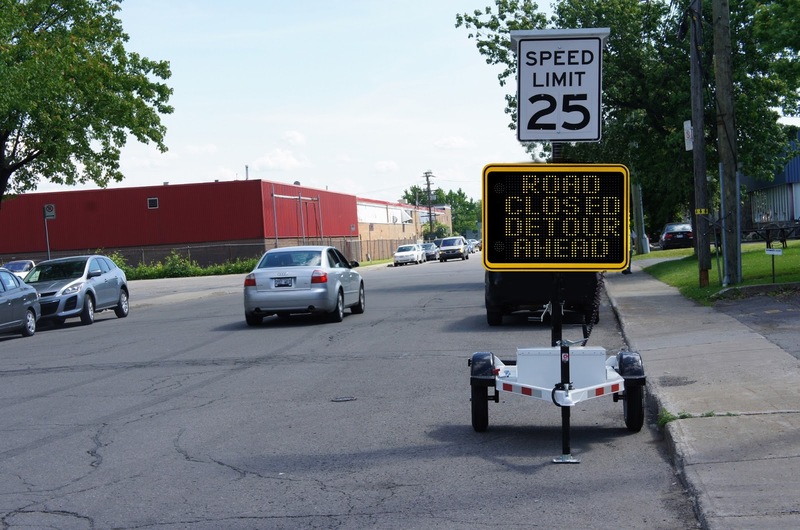 Speed trailers are actually mobile devices that are used to mount speed signs for portable use. They are a versatile traffic calming tool and can be towed on the back of any vehicle and parked wherever speeding is a concern. What sets the Traffic Logix SafePace Cruiser LT speed trailers apart? Well for one, as the photo on the left shows, the Cruiser LT includes a cool little feature that lets you rotate your sign either vertically or horizontally. But it doesn’t end there. The Cruiser LT includes a whole host of features and options that make it the ideal accessory to help you use your speed signs more efficiently in slowing traffic down. Where should you use your trailer? Do speed trailers really work? Learn the answers to these questions in our February newsletter, Product Spotlight: SafePace Cruiser LT Speed Trailers.